My grandson thinks it is very funny to give the correct answer at the last moment, so just in the nick of time to escape the shark. He has practiced so many tables already. My 8 year old son and I practice mental arithmetic often after dinner. Just by taking a table. In the app store, we have now discovered a fun way to multiply. 4x3 is fun to play. My youngest is also interested. A must! 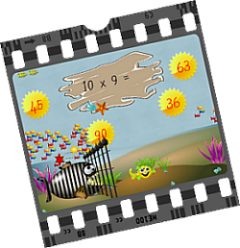 Does your child like to practise the multiplication tables? My daughter hated it! That's why I made ? 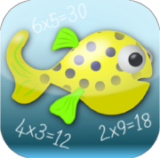 ?this app: now she can practice times tables on the iPad (and iPhone)! 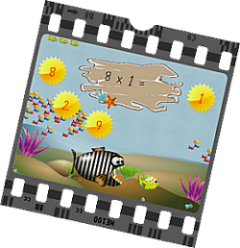 Download 4x3 multiplication tables on iTunes, or try for free on this site. Does your child like the table trainer? Rate 4x3 in iTunes! No iPad or iPhone? 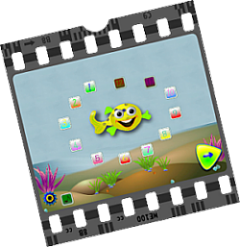 I am making an Android version (the iPad version took me a few months, so please have a little patience;-)). Like the 4x3 Facebook page to receive all the news updates!